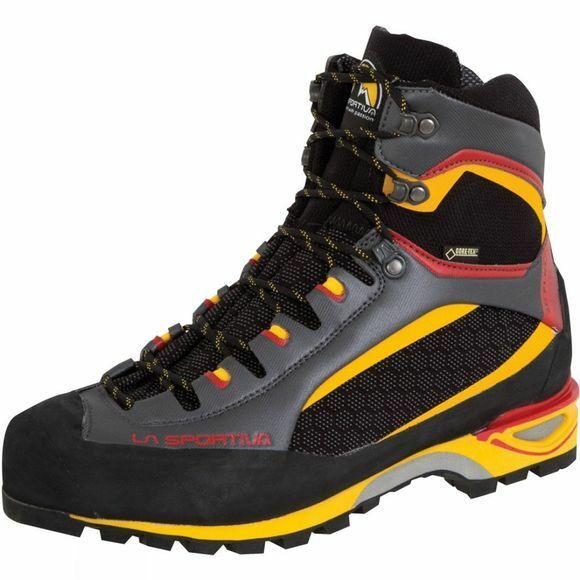 The Mens Trango Tower Boot is La Sportiva's lightweight solution to mountain hiking, via ferrata and backpacking with heavy loads. With a 7mm nylon Honey-Comb Guard upper and FlexTec 3 technology your foot will be suitably protected, while remaining flexible. A Gore-Tex lining is also used to prevent unwanted water getting inside the boot, and microfibre/PU thermal adhesive insoles keep your foot comfortable. 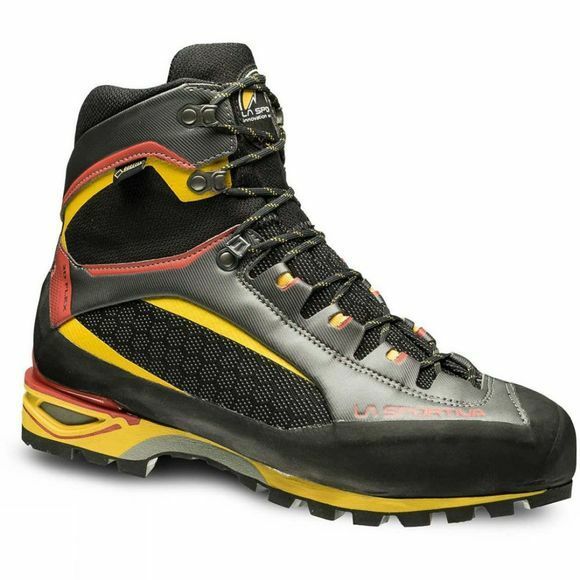 The main reason this boot is great for mountaineering is the La Sportiva Cube Sole that has been developed with Vibram to provide an excellent level of support, padding and grip when you need it most. This is achieved through a crampon compatible graded TPU at the back, PU anti-toe and heel compression, an EVA layer and a Vibram rubber outsole. Further detailing includes metal eyelets to increase the durability of the boot, and a rand at the toes to take the impact if you stub your toe on a rock. All of this adds up to a great boot for serious mountaineering.